Chili is the perfect option for a hearty, healthy, home-cooked meal, especially when the temps are cooler. I love making homemade chili, and it always hits the spot every time! 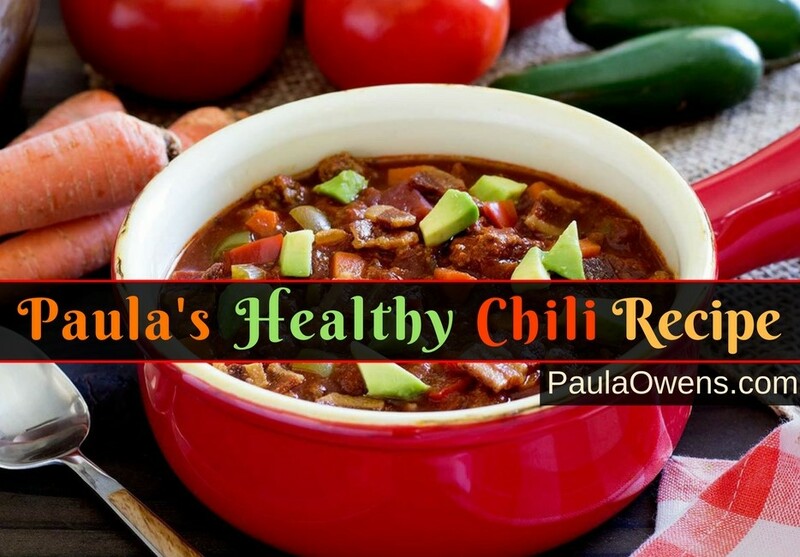 You and your family will love this Paula-approved ‘Fat Loss Revolution’ chili recipe. This recipe is paleo-friendly, packed with flavor, super simple to make, and it’s mega nutritious and delicious! 1-1/2 pounds ground bison. Other options: ground beef, turkey, elk, venison or any other ground meat. The only rule is that the meat should be organic, grass-fed and pasture-raised. Place the above ingredients in a large pot. Cook and stir on medium heat until the meat is browned. Cover and simmer on low for 3 hours or longer if you’d like. Serve with fresh cilantro, sliced avocado or a scoop of guacamole! Delish! You can also top with scallions and jalapeño peppers. If there are any leftovers, you can store the chili in the fridge for up to 4 days or up to 6 months in the freezer. Feeding a big crowd or large family? Just double the ingredients to make a larger batch. To-bean or not-to-bean. This chili recipe is bean-free. Beans and legumes can be difficult for some people to digest due to the lectins. 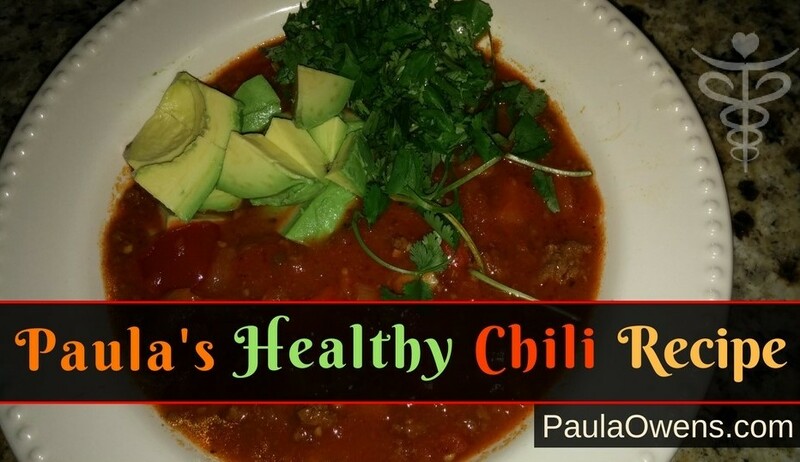 If you want to add beans to this chili recipe, soaking the beans or legumes overnight can deactivate some of the anti-nutrients making them easier to digest. I recommend organic, non-GMO sprouted beans or legumes only, and never purchase them from large bins! Place the legumes or beans in a pot of water and soak overnight. Rinse in the morning. Add fresh water and cook for 5 minutes. Rinse again, then add fresh water and gently boil for 5 minutes. Remove from heat. Cover and let stand 5-10 minutes, depending on desired texture. Drain, as needed and add to the chili before serving.